Jerith #202M Aluminum Rainbow Double Gate - Modified | Hoover Fence Co. 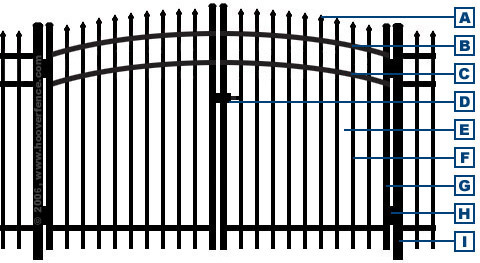 These Gates match Jerith #202M Fence Sections. This style gate has a 45" spacing between the horizontal rails to meet stringent pool enclosure codes.